The Digital Millennium Copyright Act has been used in a variety of ways, but developer Ammobox may have broken new ground in wielding the US legislation. Earlier this month, the Malaysian studio invoked the DMCA to have its own game, Eximius: Seize the Frontline, removed from sale on Steam. In announcing the unusual move on the game's Steam page, the developer explained that the DMCA notice was served over issues with Eximius' original publisher, TheGameWall Studios. "Legal action is in process of being taken because the publisher has went off grid and has not made any payment of the sale of the game to developers. TheGameWall Studios has breached publishing agreement and their rights to distribute has been terminated." As a result of the DMCA request, the game was pulled from sale on Steam. Those who had already bought it were able to continue playing and the game was still updated, but customers were unable to make new purchases from Steam. Eximius launched in Early Access in September. The DMCA request was announced January 9, and over the weekend Ammobox announced that Steam had transferred control of the game's page to the studio and Eximius is once again available to buy through Steam. "Steam has just assisted us in regaining control of Eximius from the fraudulent publisher TheGameWall Studios"
"Steam has just assisted us in regaining control of Eximius from the fraudulent publisher TheGameWall Studios," Ammobox co-founder and CEO Jeremy Choo said on the studio's Discord channel. "They have been removed as publisher and DMCA has ended. One small win. They have still stolen many months of revenue from us and we are working on recovering them." Choo told GamesIndustry.biz that Valve is the only storefront to this point to remove TheGameWall as publisher of Eximius. He said Ammobox has been in contact with a number of storefronts selling Eximius--GreenManGaming, Humble Store, and Fanatical among them--but all of them still list TheGameWall Studios as the publisher as of this writing. TheGameWall Studios did not immediately return requests for comment. The DMCA's most widespread use in gaming has been by companies large and small looking to claim monetization rights on videos using their properties, but it has proven to have many more uses beyond that. Earlier this month, Star Control creators Fred Ford and Paul Reiche III used it to pull Star Control: Origins from sale as part of an ongoing dispute with Stardock over rights to the franchise. Last year, Escape from Tarkov developer Battlestate Games filed dozens of DMCA takedown notices against a YouTuber it said was spreading "misinformation" and "negative hype" about the game, while Microsoft used it to prevent streamers from covering a mod for a cancelled Halo Online game that leaked. In 2017, Atlus cited the DMCA in an unsuccessful attempt to have Patreon sever ties with a group of developers making an open-source PS3 emulator, claiming attempts to make an emulator that would run Persona 5 were infringing on its intellectual property. The same year, Firewatch developer Campo Santo issued a DMCA takedown notice against a Firewatch Let's Play video of Felix "PewDiePie" Kjellberg after the popular YouTuber used a racial slur in a video of himself playing PlayerUnknown's Battlegrounds. Update, January 22, 2019: Ammobox has issued a statement to GamesIndustry.biz, which explains in detail the problems it alleges were caused by publisher TheGameWall Studios. The developer has been working on Eximius: Seize the Frontline for eight years, with a ten-person team mostly based in Malaysia. However, the need for a publisher only arose relatively close to the game's eventual September 27, 2018 launch date. Ammobox claims to have taken appropriate measures to ensure a fair contract with TheGameWall Studios, with the inclusion of a “performance-based exit clause” cited as an important point in the negotiations. However, despite securing the clause, Ammobox regarded signing with the Cambridge-based publisher as “a gamble” due to concerns over its “previous portfolio” of releases. "Finally we decide to employ scorched earth. If we're not seeing a single cent, neither should [TheGameWall Studios]"
Ammobox alleges that the problems started immediately after launch, when TheGameWall Studios failed to provide “promised” customer support and marketing activities. In addition, all revenue from Eximius was being “channeled into [TheGameWall Studio's] account” -- an issue for Ammobox due to only having enough money to run the studio for two months after launch without income from sales of the game. “We paid for all development updates, servers, and support services with our last dollar while [the] publisher continue to give excuses for further delays,” Ammobox said. 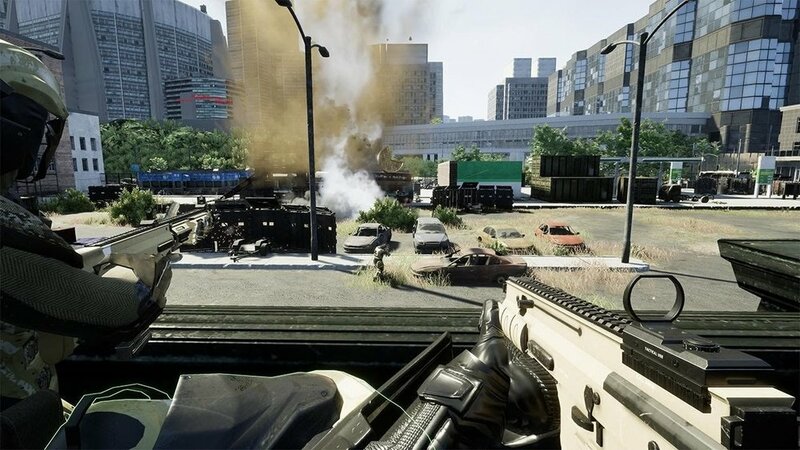 TheGameWall Studios “disappeared completely” in November 2018, at which point Ammobox explored taking legal action. However, with the “application rights [for] Steam” linked to the publisher's account and no access to the sales revenue, Ammobox claims it was unable to pay for any legal costs. Ammobox alleges that it has lost enough revenue to cover six months of the studio's operations, but stated that its main priority is to “regain control of the game.” It maintains that it has yet to contacted by Eduardo Monteiro, its only point of contact in all of its dealings with TheGameWall Studios. GamesIndustry.biz has contacted TheGameWall Studios for a response. Additional reporting by Matthew Handrahan.